Cardiovascular disease is most prevalent in African-Americans. This specific group has an increased risk of cardiovascular disease and high blood pressure with African-American women having higher rates of obesity than other race and gender groups. In general, African-Americans, those people of African ancestry living in the U.S.A., have an earlier onset of cardiovascular disease than their counterparts of other races and genders and higher overall death rates from this disease. In Greensboro, N.C., we are fortunate to have prominent members of the African-American community diligently working to foster awareness and implement changes in these areas. Dr Roosevelt Smith, a former bodybuilder and owner of HealthSource Chiropractic and Rehabilitation of Greensboro, provides resources to help the community understand the importance of early education regarding freedom from disease to promote long and healthy lives, including nutrition. Reducing the risk of various diseases in African-Americans will also reduce the risk within all races. African-Americans should be aware of risk factors for vascular disease early on. Regularly check your blood pressure, blood sugar, and weight, and know your cholesterol level. A healthy diet and exercise is no secret to improve quality of life. Let Angela be your guide, motivator, teacher and the coach holding you accountable on your journey to a “better you”. There is no one solution and with a thorough assessment, Angela will put together a program personalized to your needs and goals. Afro-Americans are needed for an Alzheimer’s Research Study conducted by North Carolina Agricultural and Technical State University. Are Afro-Americans at higher risk for Alzheimer’s because of diet? Click here for info. Just a Cloud Away, Inc. ™ Journal thanks Take Shape for Life and their constant support. 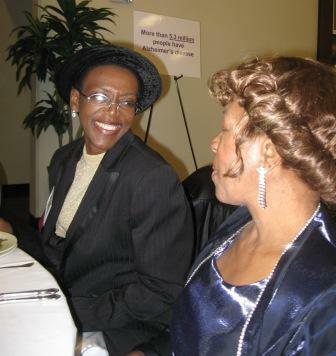 An Afro-American research study on Alzheimer’s Disease is underway at North Carolina Agricultural and Technical State University. The study is being promoted as Keeping Memories Alive. This 2 year, national education and awareness campaign proposes to educate, and motivate to action, more than 12 million Americans through, multiple media outlets and grassroots community-based efforts. 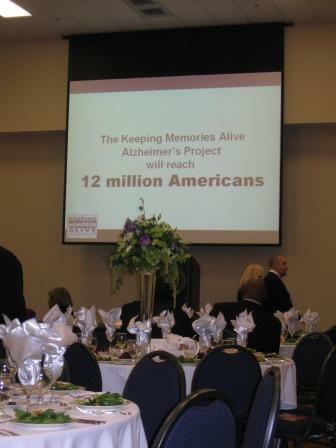 By combining the resources and talents of the Alzheimer’s Association, AARP, and research partners, the Keeping Memories Alive Alzheimer’s Project will become an effective model for translating scientific information to the public. 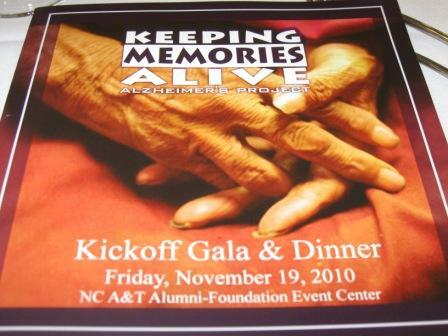 The Keeping Memories Alive Alzheimer’s Project team envisions a proactive and “brain-healthier” world. Finding genes that cause Alzheimer’s Disease and leaning how they interact with factors such as diet and the environment will lead to improved tools for diagnosis and better treatments for the disease.